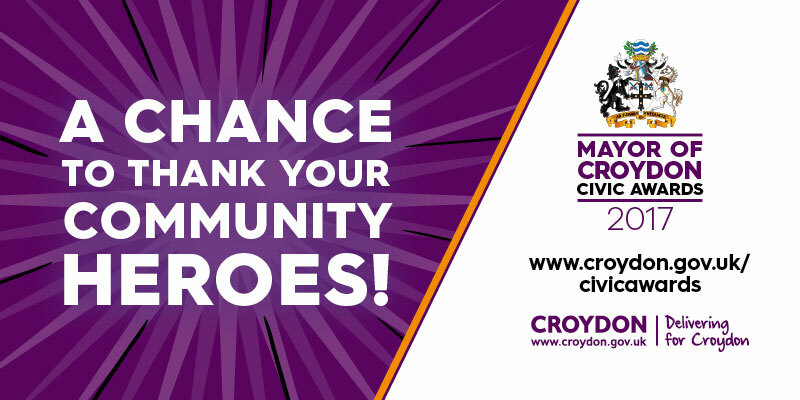 Finalists in the 2017 Mayor of Croydon Civic Awards! We are delighted that the Friends of Grange Park, Old Coulsdon, are finalists in the 2017 Mayor of Croydon Civic Awards after we were nominated by members of our community. We are up for an award in the 'Volunteer Group of the Year' category. It is fantastic that the efforts of the Friends have been publicly recognised- our most notable achievements in the last year include the £100,000 transformation of the children's playground and the bestowal of 'Centenary Field' status on Grange Park in April 2017 following a strong campaign over several years, which will protect our park against future development. Behind the scenes we work hard to hold the council's contractors to account for the standard and frequency of litter picking in the park and help to troubleshoot other issues as they arise. Our 7 trustees who were instrumental in the Friends achievements over the last few years will attend a gala dinner on Tuesday 17 October, when we will learn of the outcome of our nomination. Our trustees are: Cllr Chris Wright, Hannah Price-Harries, Ray Haxton, Mairwen Haxton, Sarah Bowen-Harries, Lene Fulbrook and Elaine Hutton. We also recognise the hard work of all our volunteers over the last few years, and all those in the community who have given their support, time and money to the Friends' causes.